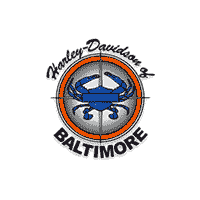 Welcome to Harley-Davidson of Baltimore Service Department. Our knowledgeable service staff is here to repair and maintain your Harley-Davidson®! We service a large area including all of Baltimore, Rossville, Nottingham, Parkville, Carney, Towson, Perry Hall, Edgewood and Dundalk. Call us or fill out our online form today for more service information! We perform major or minor repairs from routine maintenance to collision repairs. Call us at (410) 238-2003, or email us below, if you’d like to discuss your options and scheduling. Our Dealership is located in Baltimore, Maryland also serving our neighbors in Dundalk, Towson, Ellicott City and Parkville.